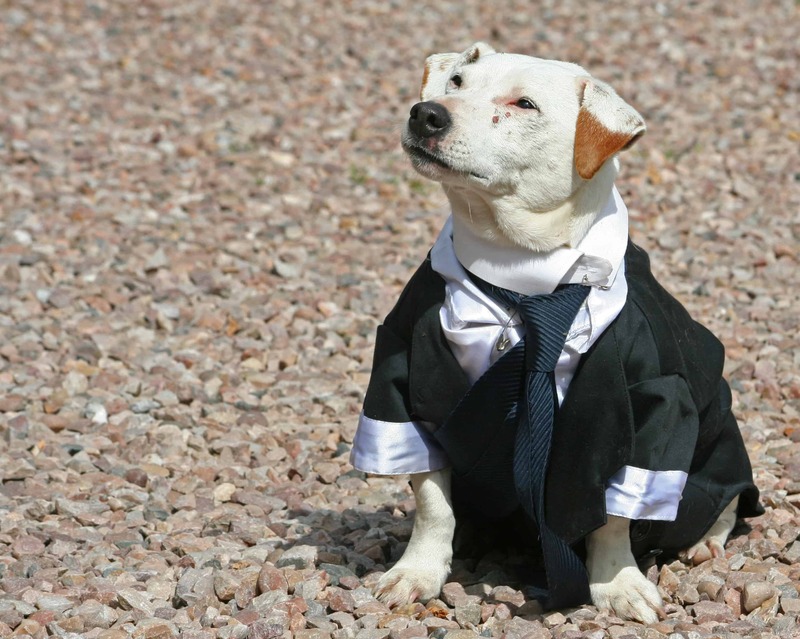 Sir Ben has trained his favourite Jack Russell to drive the family Bentley to the wedding of his labradors. 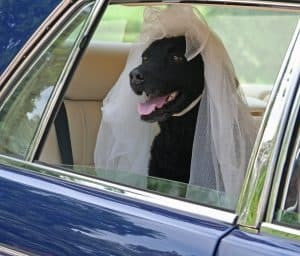 Sir Benjamin Slade the eccentric 7th baronet of Maunsel House in Somerset, who is renowned for once owning the richest dog in Britain,a black labrador called Jasper Tudor Earl of Richmond, has taken his canine obsession to new heights. In a You Tube video launched today, his Jack Russell terrier Bolly drives the family Bentley half a mile down the private tree lined avenue which leads to the famous wedding venue Maunsel House. This private Stately Home,the 13th century family seat of the Slades,and the former home of Geffery Chaucer, was once visited by Alfred the Great in 878 AD. It normally provides a charming venue for upmarket weddings of a more conventional nature. 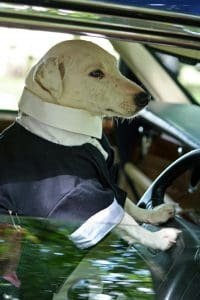 Bolly the terrier wears a specially tailored chauffeurs uniform, whilst the canine bride and groom, a pair of black labradors, both dressed in full wedding attire, sit behind him in regal splendour. The luxuriously appointed custom built Bentley is normally reserved for transporting wedding guests, VIP’s and famous television personalities such as Mark Wright, Sarah Beeny and Kirsty Allsopp. The charming video closes with the groom giving the bride an affectionate post nuptial kiss outside the door of the estate’s private Saxon church.